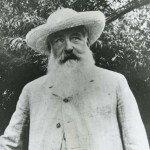 When Claude Monet lived in his Normandy farmhouse in Giverny, his personal contemporary art collection—which included Renoirs, Manets and a dozen Cézannes—was arranged on the walls of his bedroom upstairs, and his colorful Japanese woodblock prints hung in rooms throughout the house. For the painter, the views of his adored garden from both salon and bedroom rivaled the masterworks inside. For the visitor today, they still do. 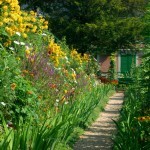 Dazzling drifts of color greet the eye in the flower garden, which Monet called Le Clos Normand. Depending on the season, the kaleidoscope of hundreds of hues includes pansies and crocus, violets and forget-me-nots, daisies and anemones, tulips, poppies and peonies, chrysanthemums, spears of foxglove and snapdragons, towering gladioli and hollyhocks. Both simple country posies and rare exotic blooms color the garden in pre-ordained harmonies. In spring, decorative Japanese cherry, apple and apricot trees are thick with blossoms. In summer, nasturtiums run riot across the path of the central allée in all their gold and vermillion glory, roses clamber across arches or—like Monet’s favorite climber, the yellow Mermaid—race up the walls to his bedroom window and perfume the air with their heady fragrance. In autumn, foliage flames scarlet while red and orange dahlias, violet asters, and saucer-sized sunflowers take center stage. At the southwest corner, a tunnel under a road leads from the Clos Normand to the Water Lily Garden. Winding paths curl around the serpentine curves of two ponds, past bamboo thickets and under weeping willows. The banks are planted with rhododendrons and azaleas, climbing roses and tree peonies. In autumn, the shrubs and ponds glow golden in the haze of the setting sun. In the spring, the green wooden Japanese bridge, familiar from so many Monet paintings, peeps out from a cloud of white and mauve wisteria. 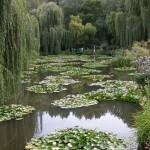 But here the real stars blossom in summer—masses of water lilies bathed in a mystical aquatic light. In every season, the poetic atmosphere envelops and enchants the visitor. 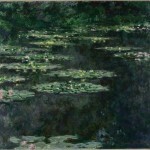 “It is a mythical place,” says Hughes Gall, head of the Fondation Claude Monet Giverny. 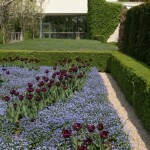 The forthright and charming Gall, the highly acclaimed director of the Paris National Opera from 1995 to 2004, took over the Monet Foundation in March 2008 and has already struck up a new collaborative relationship with a Giverny neighbor, the American Terra Foundation’s former Museum of American Art. Although the low-lying modern building itself is still Terra-owned, it now houses the new Musée des Impressionnismes Giverny, which was created by a partnership between the Eure regional council, which is financing its €2 million budget, and Paris’s Musée d’Orsay, which organizes the museum’s temporary exhibitions—there will be no permanent collection. 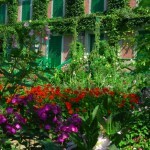 The museum opened on May 1, 2009, and its first exhibit was about its neighbor: Le Jardin de Monet à Giverny: L’Invention d’un Paysage. After Monet’s death in 1926, the garden slowly disintegrated. His surviving son, Michel, who died in 1966, left both the property and the art collection to the Académie des Beaux-Arts. The collection went to the Musée Marmottan in Paris and a first curator attempted to save what remained of the house and garden. 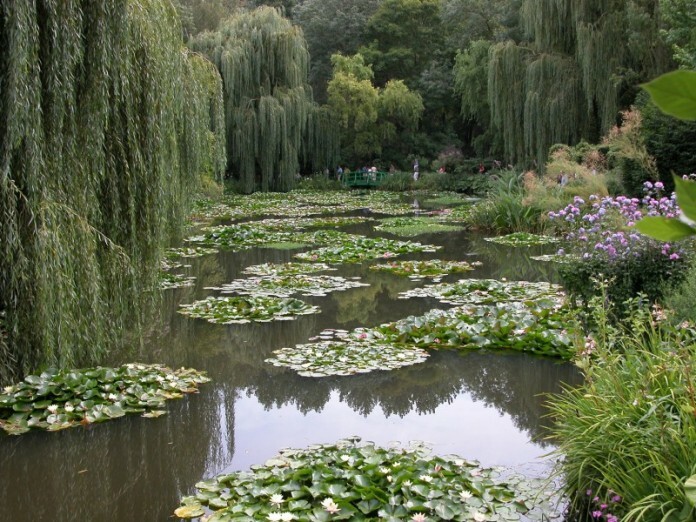 Giverny’s renaissance began with the arrival of former Versailles chief curator Gerald Van der Kemp and his American wife Florence, in 1976. Having raised substantial sums for the restoration of Versailles, they turned their attention to Monet’s heritage, and the house and garden were saved by millions of dollars from generous American donors. Monet’s own lists of flowers and plans of the garden were shared by architect and painter Jean-Marie Toulgouat, whose mother Alice Butler was the daughter of Monet’s stepdaughter, Suzanne Hoschedé, and American artist Theodore Butler. “The statues were crumbling; we started from zero,” says Vahé, “but the design was still there. We used an aerial view of the garden in the 1960s to retrace it.” The ground was plowed up and the garden laid out once more. Monet’s own plantings varied constantly, and today, too, the garden is in permanent evolution, always respecting the artist’s color choices and basic volumes. The natural look he favored is recreated by allowing some self-seeding plants to grow spontaneously. Beds of yellow and white flowers still brighten shady spots, part of the constant play of light and shadow. “Every day, there is a problem and a solution,” Vahé says. To combat an invasion of nutria, South American water rats raised for their fur, “who eat everything,” Vahé lined the pond banks with metal panels dug deep into the water. A stand of a thousand poplars planted 30 years ago on land just south of the water garden now casts so much shadow on the ponds that “it cools the atmosphere and the lilies die,” says Gall. Solving the problem is one of his priorities and he hopes the new entente with the Terra Foundation, which owns the land, will lead to cutting down the now unhealthy trees. Originally published in the May 2009 issue of France Today; updated in April 2011. 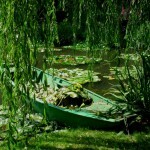 Book Tour Packages to Giverny with French Experience!